I double checked my ticket information about a week before I was going to leave Uganda and discovered that I actually had a twenty hour layover at the London Heathrow Airport. 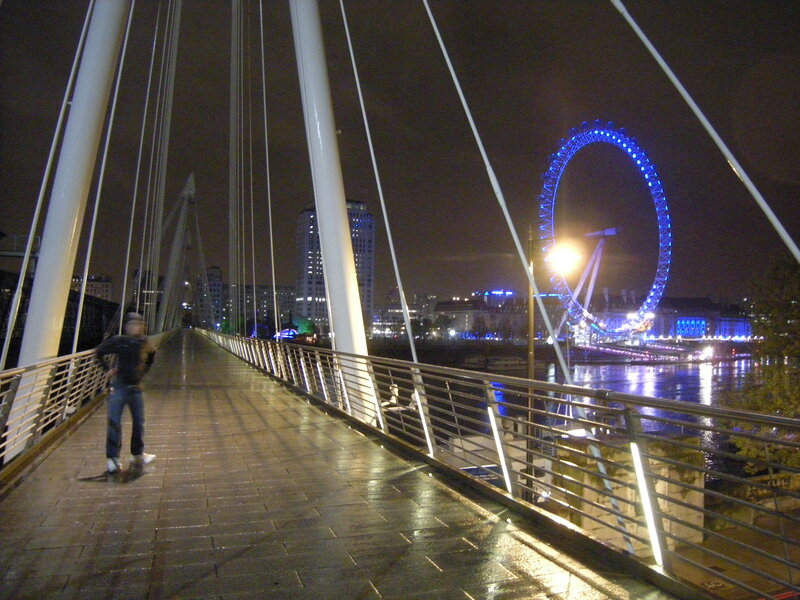 I didn’t mind too much because I’ve never been to London, and I quickly decided that I was going to make it into an epic adventure! I decided to couch surf because I had used the social network previously when my classmate Andrea and I first arrived in Switzerland for our exchange in 2010. I made several couch requests to various people, and a guy named William got back to me and was willing to host me and show me around. The day came for me to leave. A driver came to pick me up to bring me to the airport at 5:30 in the morning and three of the interns came with me. The Entebbe airport was crazy but I eventually got through with all of my bags and my guitar. The flight was smooth but we were delayed in taking off and landing and so we landed two hours late. After that I had to go through an insanely long customs line and ended up waiting for two more hours to get through. My phone wasn’t working and so it was almost 9pm when I finally called William on a payphone to tell him that I had arrived. I paid the extra money to take the quicker Heathrow Express into the city instead of the Tube and finally arrived at Paddington Station. Upon finding each other we dropped my stuff off at his apartment and then went out again to go for dinner. By the time we found a restaurant and were done eating it was 11:30pm. The night would still be young however. 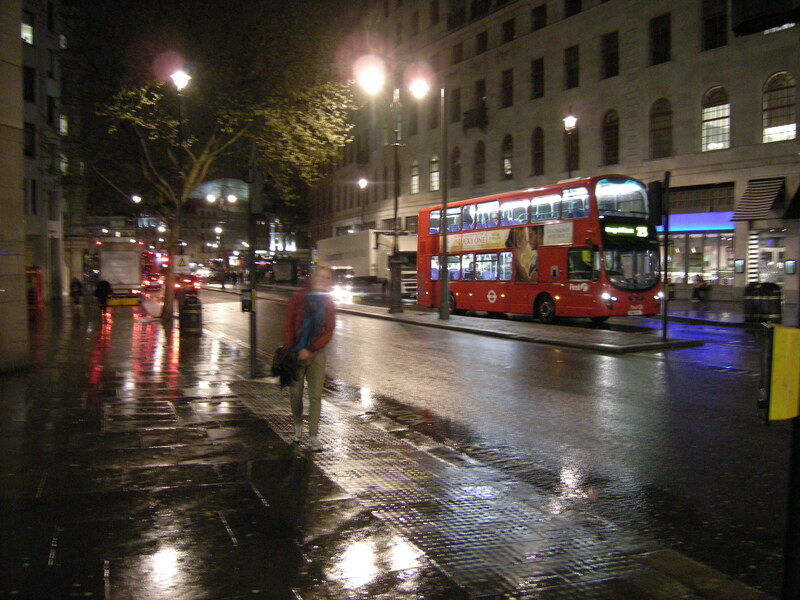 We took the tube and the buses around the city by night even though it was cold and drizzly. 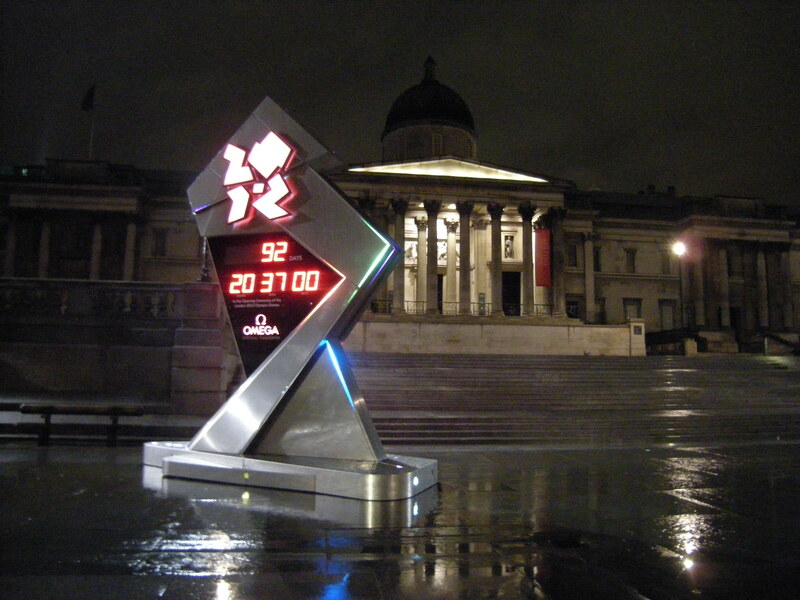 William took me to see the London Eye, the Westminster Parliament Buildings and the Big Ben, incidentally at the stroke of midnight, and Trafalgar square where I saw the countdown for the Olympic Games. 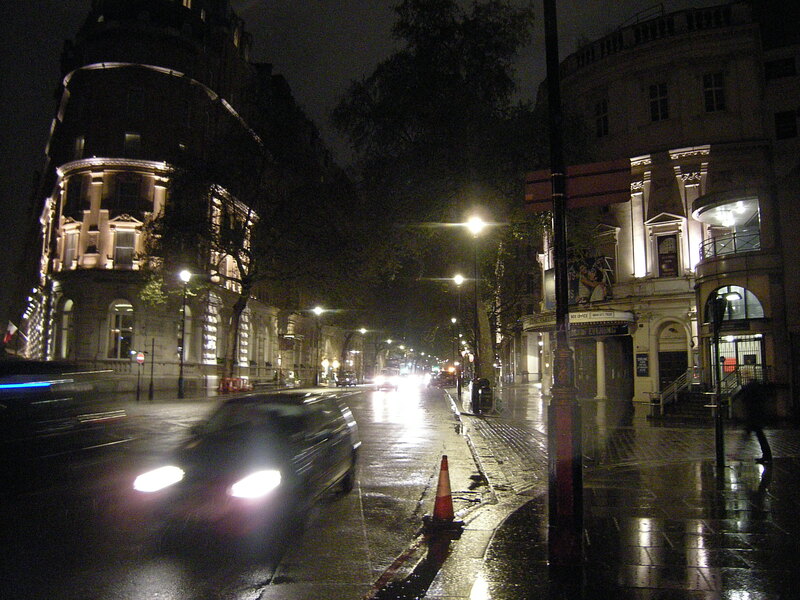 I pretty much got to check off the stereotypical London things that I wanted to say I saw in the twenty or then to become sixteen hours that I had. Not bad! We were out until 2am and even after that kept on talking about all sorts of things. 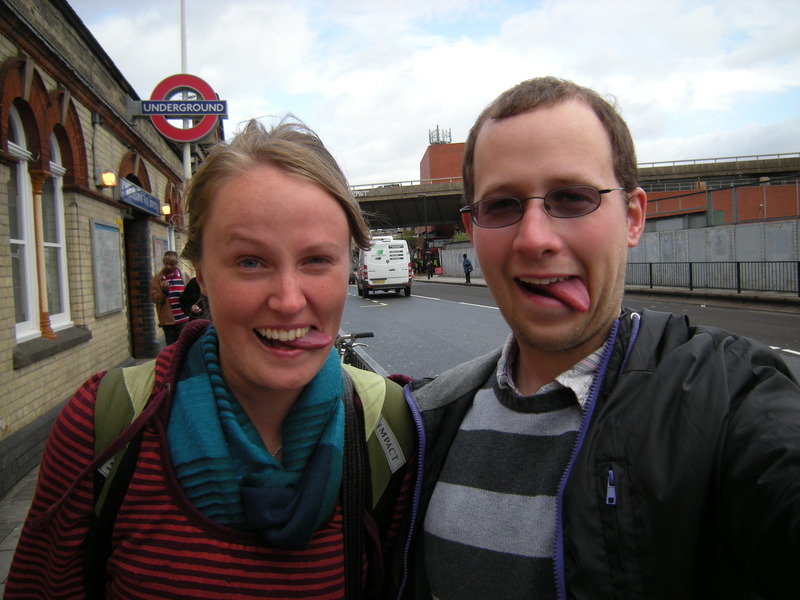 William was a very kind and considerate host and it was great to see the city from the point of view of a local. I can certainly say that the layover was epic and it was so great to see and experience the city of London even though it was only a dark and rather blurry glimpse! During my time working with eMi I had the opportunity to take Swahili with two other ladies from our office, Sarah and Rose. I couldn’t really use it in Kampala specifically because the local language there is Luganda, however, Swahili is widely spoken in many countries in East Africa. I heard it for the first time when I was on my project trip to the DRC. I have no idea if or when I will have an opportunity to use it, but my same love for languages that has followed me all my life wouldn’t let me dismiss the opportunity to learn it. It is a very beautiful language and it was such a joy to learn. Kiswahili is an easy language to learn by way that it is pronounced like it is spelt and many of the grammatical patterns follow through. One of the hardest things about the language was that there are several different word classes and each class has everything associated with that word take on the patterns or rules of that specific class. This means that adjectives can sound completely different depending on the word class of the noun that they are describing. 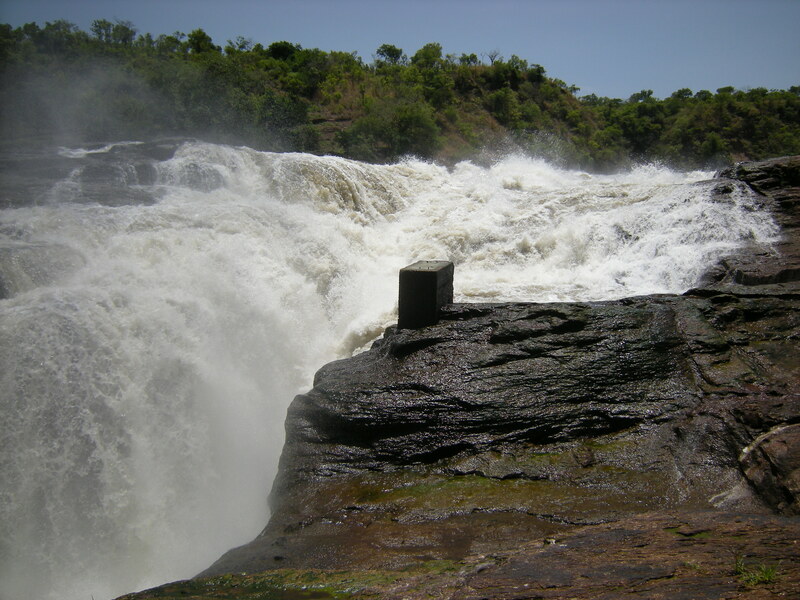 On my final weekend in Uganda, all seven of the interns joined by one of the eMi staff in Jinja and the three girls who have a street kids ministry in Kampala (takes breath) went to a lodge on the Nile near Jinja called The Hairy Lemon. We had heard about this place from other eMi staff and were told that it was a great and really chill place to stay. 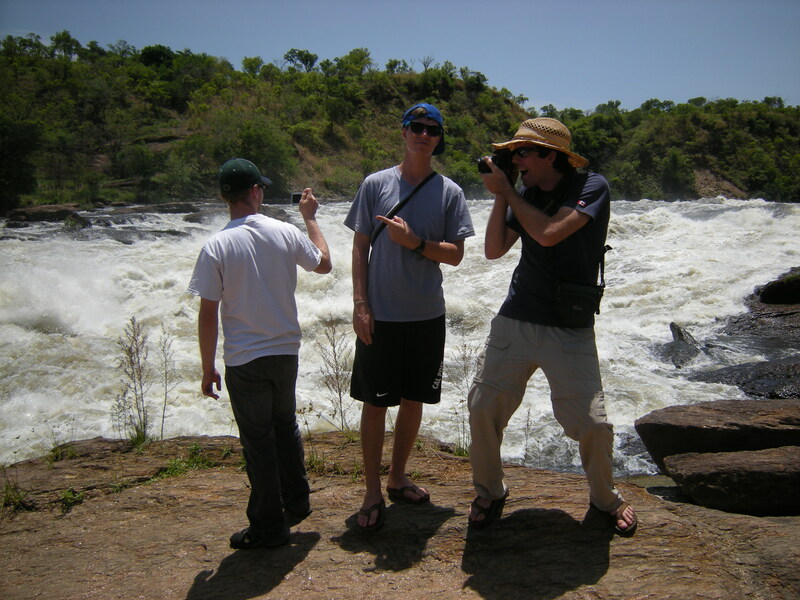 We booked a ‘crocodile bunkhouse’ with eleven beds for two nights and all headed out on Friday morning with public transit to spend the day in Jinja and then head to the Lemon that evening. After about three hours on the road we finally made it to Jinja. We ate lunch at our favourite restaurant called Ozzie’s which I have decided make the best burgers I have ever had to this day. 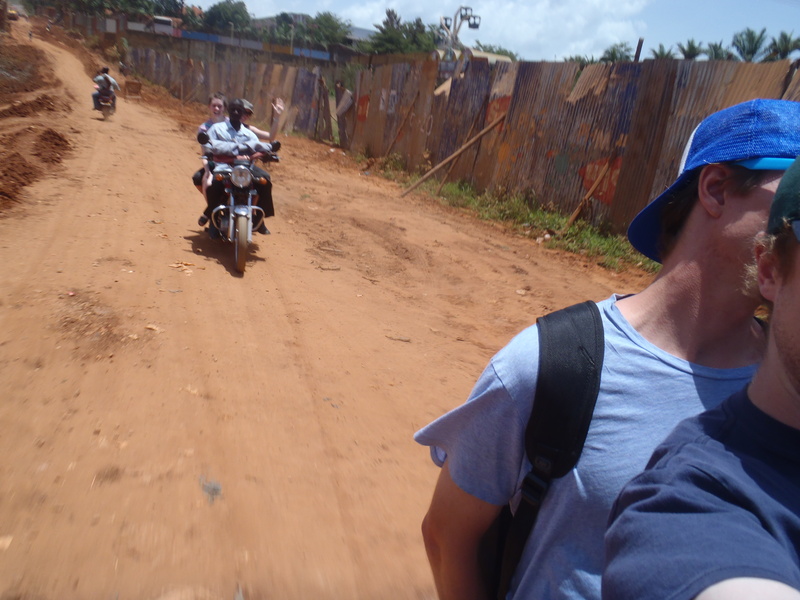 After that we did some souvenir shopping, talked to some street kids for a while, and then met up with Brice, an architect from eMi in Jinja, who has a pick-up truck and was able to drive us to the Lemon with everyone in the back. What a sight we must have been on the road – a white pick-up filled to the brim with a group of mzungu’s traveling Africa-style. After about an hour we arrived at the Lemon, but the lodge is actually an island and so we had to take a ferry out onto the Nile to get there. 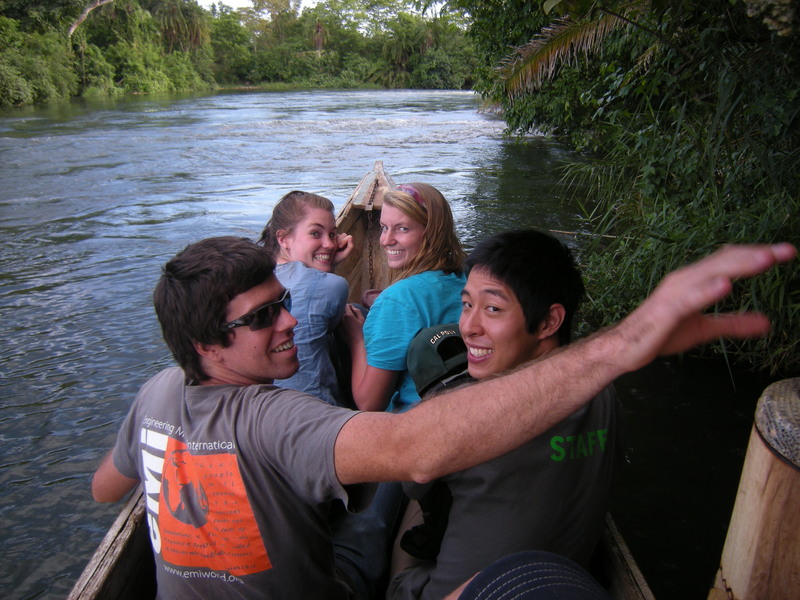 The ferry was a rickety canoe that they managed to fit many of us in at once and was oared by a single (muscular) man! The Hairy Lemon island itself was all it promised to be. It was super chill, the bunkhouse was simple and nice, the food was good, and we were all in each others great company. 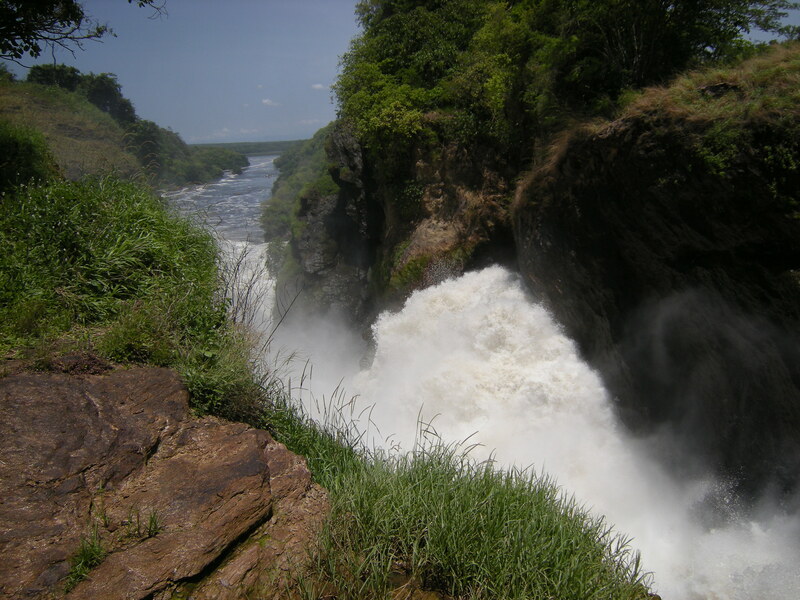 On Saturday David and Katherine went white water rafting as this part of the Victoria Nile has some of best rapids in the world; I was originally supposed to go but couldn’t because of my recent knee injury. 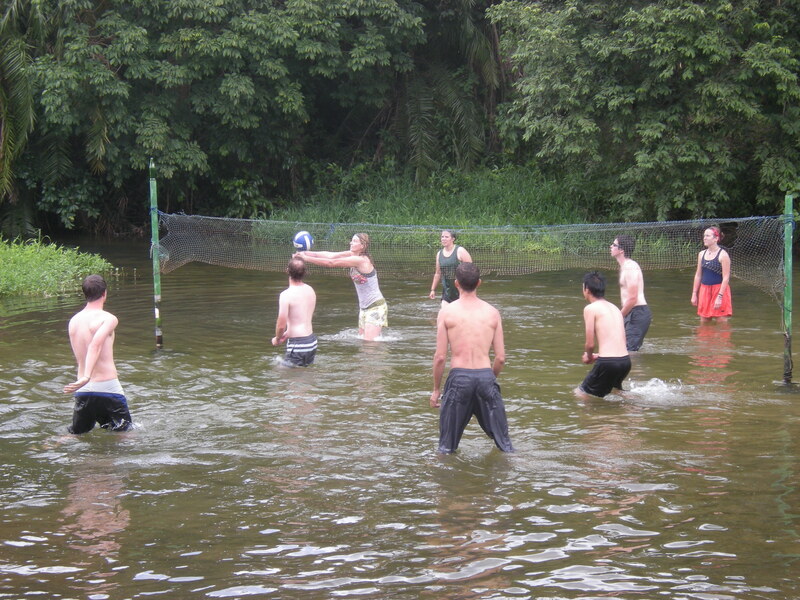 The rest of us just chilled for the day swimming, playing volley ball, tossing a frisbee, reading books, and playing cards. It was heavenly to be in a place with so few people. One thing about Kampala is that is is impossible to escape the presence of people. It was a great time for me to meditate a lot on the trip and my rapidly approaching return to Canada. On Sunday we had our own worship time and then headed home after lunch. It was an awesome weekend although it was the calm before the storm! Upon my return it was time to begin packing and preparing to leave for home. 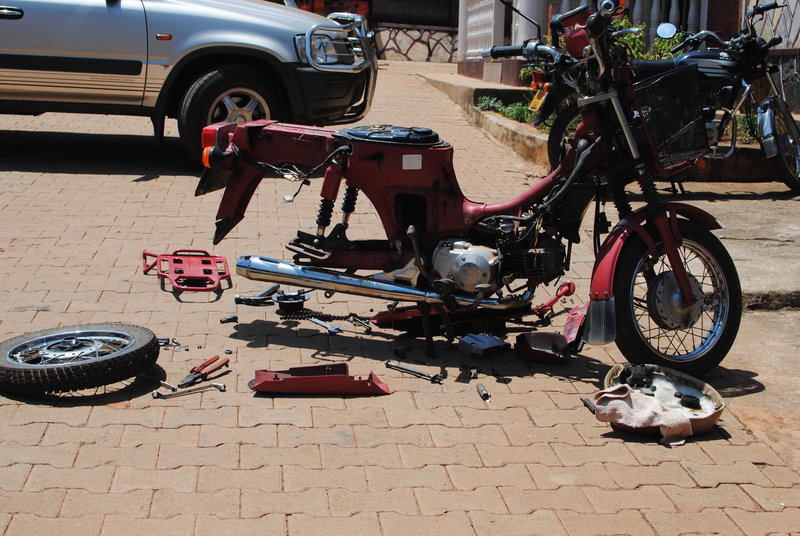 Bodas (motorcycle hires) are a significant part of the culture of the city of Kampala. They really are the ideal way to get around (however dangerous), and often it is hilarious to see what kinds of things people will try to carry on a boda. Take a look at this amazing post from a fellow co-worker Robert Donahue at eMi! It just shows so well what Kampala is like! In the middle of April our group of seven interns headed out to Murcheson National Park for our intern weekend. It was a relaxing and beautiful trip! 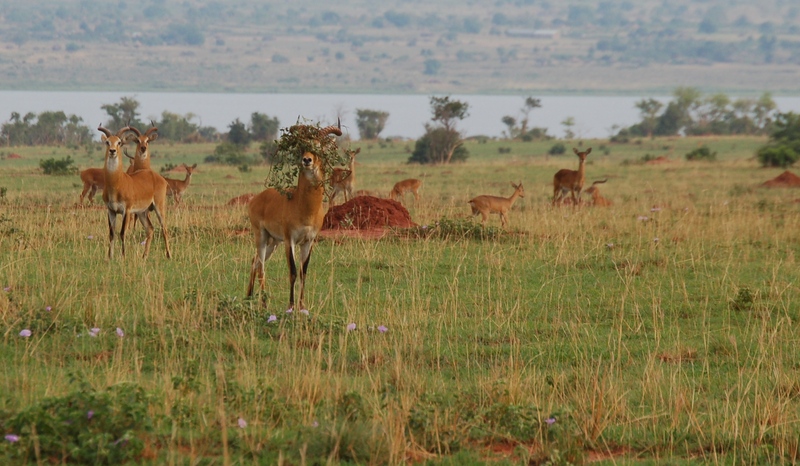 We went on safari for three days and saw some amazing wildlife. In looking upon this awesome creation, I was put ever more in awe of God the creator. This earth and its complex natural systems are no accident; God created it all for His glory. During my time in Africa I have been constantly reminded of the vast and mind-numbing power and glory of God. Recent Bible verses I have been reading are Psalm 139: “You hem me in – behind and before; you have laid your hand upon me. Such knowledge is too wonderful for me, too lofty for me to attain.”, 2 Corinthians 3: “If the ministry that condemns men is glorious, how much more glorious is the ministry that brings righteousness! For what was glorious has no glory now in comparison with the surpassing glory. And if what was fading away came with glory, how much greater is the glory of that which lasts!”, and Ephesians 3: “I pray that you, being rooted and established in love, may have power, together with all the saints, to grasp how wide and long and high and deep is the love of Christ, and to know this love that surpasses knowledge – that you may be filled to the measure of all the fullness of God.” Wow! Thanks goes to fellow interns Brenna Malaney, Aaron Haazen, Katherine McCourt, and Erland Mowinckel for taking most of these fabulous photographs (if you click on this post you can see who took which one). Enjoy! Now this is an example of exemplary camouflage. 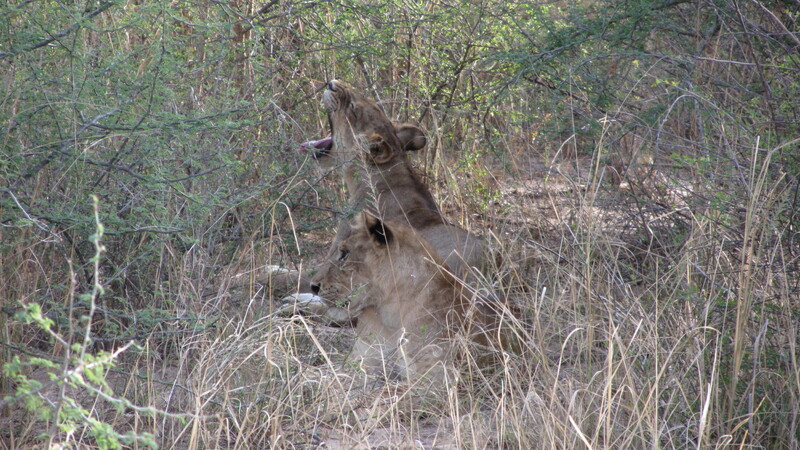 This photo shows the lions better than we could see them! 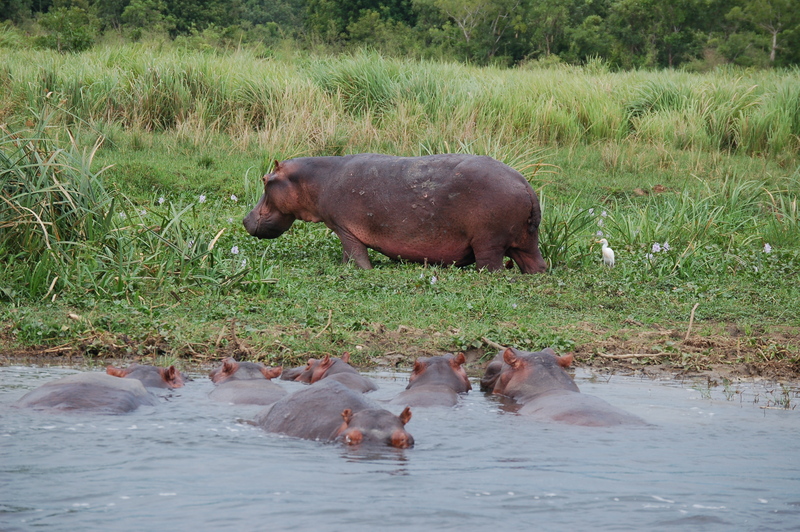 There are hippos everywhere in the Nile! We were even warned at the lodge we were staying at to do a full 360 with a flashlight before walking to the toilet block so as not to alarm a hippo. 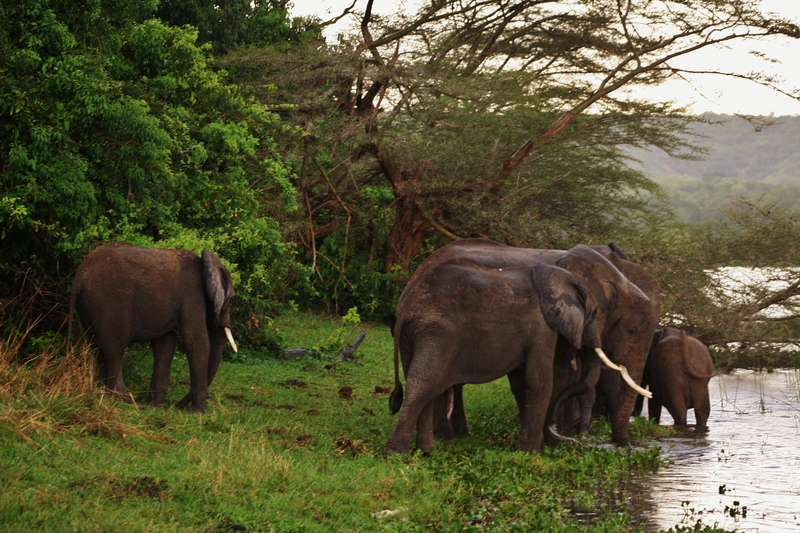 They chill out in the water all day and come out and graze on land at night. They look harmless enough but I’ve heard that they can be quite dangerous. 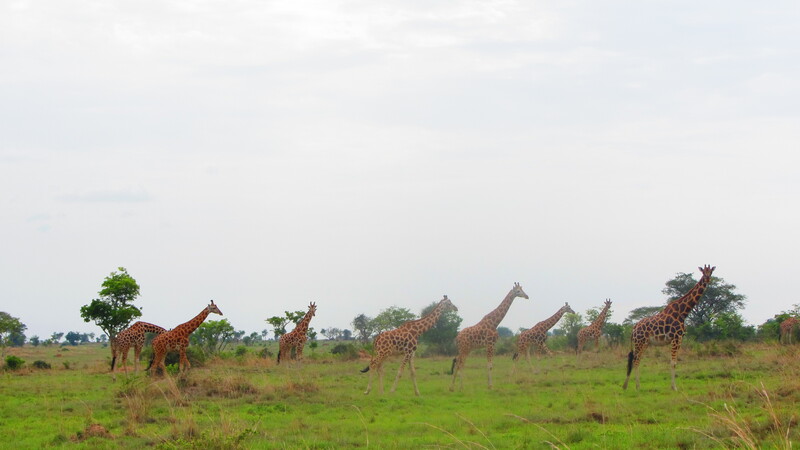 There was one point where we saw more than twenty Giraffes at once! 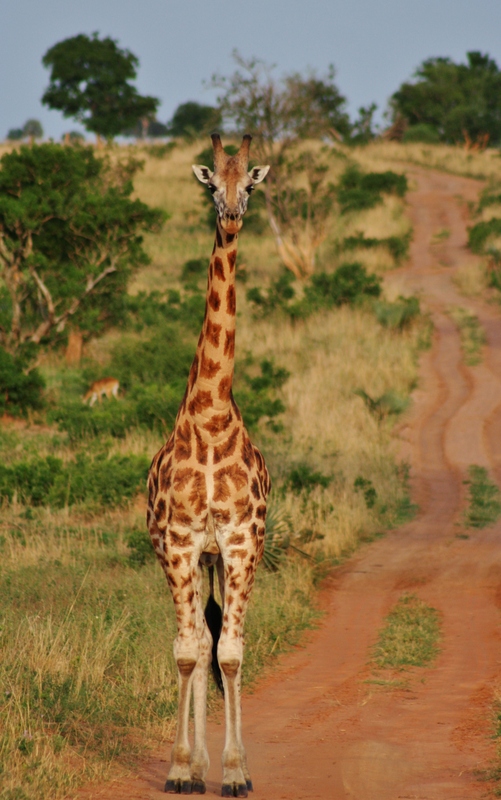 Intern Kevin wittily suggested that we should change the name of the park to ‘Giraffic Park’. This particular one greeted us on the road. 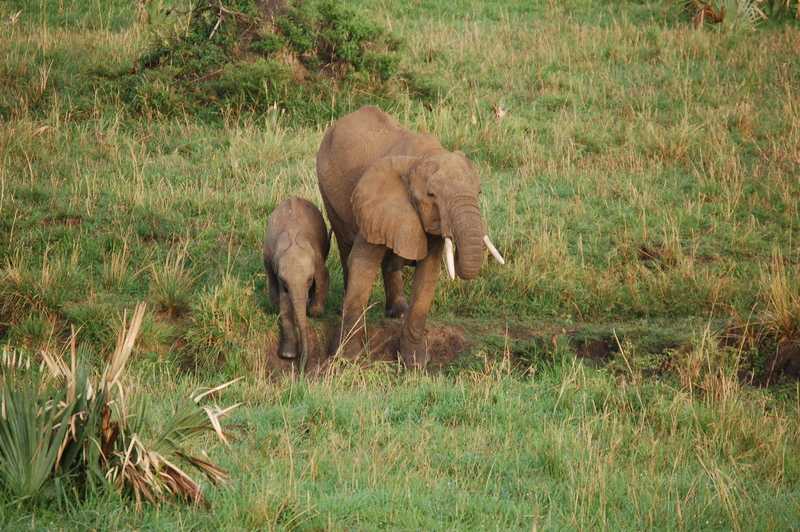 These were the animals I had really wanted to see and boy did I get to see them! We had three fairly close encounters. 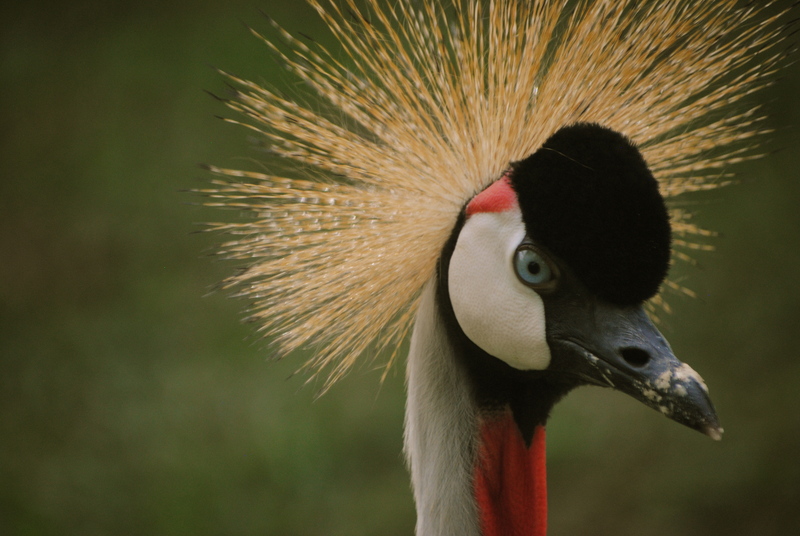 Although we didn’t see it in the wild, this bird was cool to see because it is Uganda’s national emblem and is even on their flag. 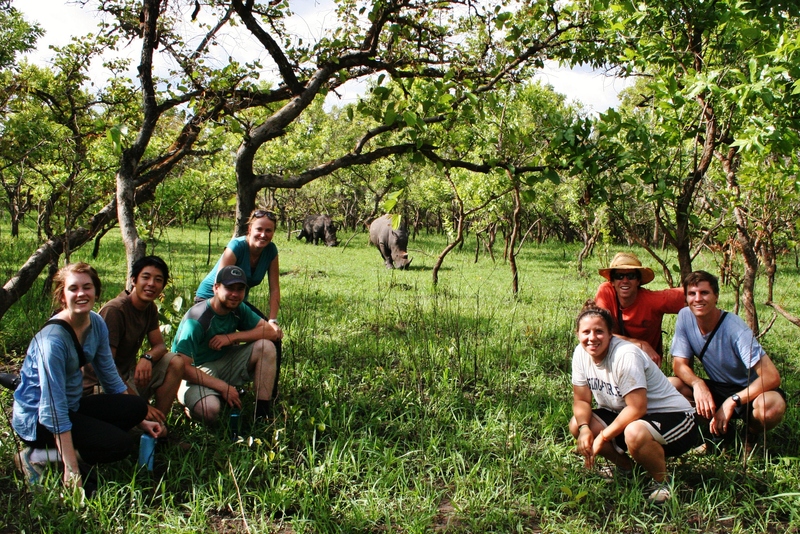 On our way back to Kampala we visited a White Rhino Sanctuary and got to go trekking on foot to see a few of them. 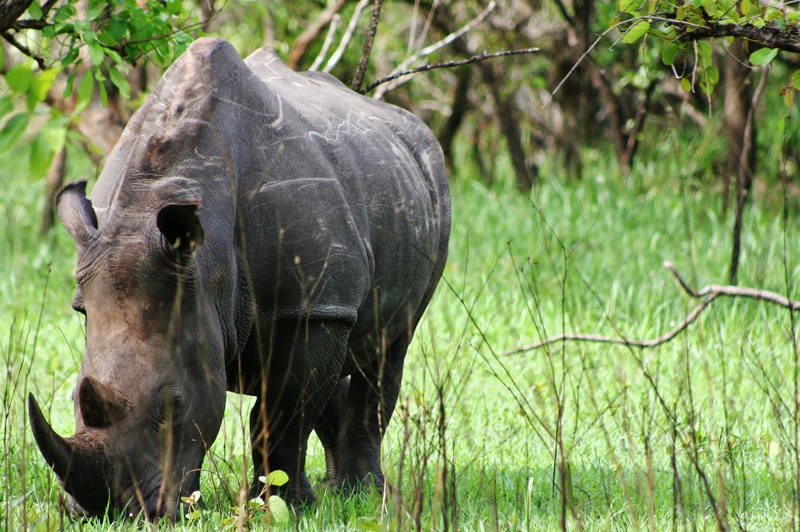 The sanctuary is trying to reintroduce White Rhinos into the country as they were brought to extinction many years ago.